Do you live in an older home and feel chilly air drifting through the windows and doors? If so, it’s probably a good time to consider having new windows and doors installed to keep the cold air out, the power bills down and the chance that you or those you love won’t have quite so many sniffles this fall and winter. Sure, there is an expense to having new windows and doors installed, but in the long run, the initial cost for installation can help save money and keep more money in your pocket. You can try to do the installation on your own, but you will most likely find that hiring a professional general contractor to handle the work for you will cut down on time and will ensure everything is installed properly. 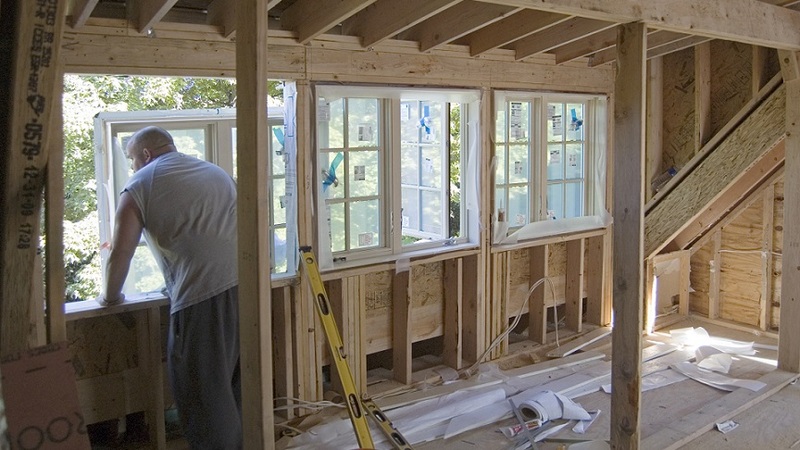 When it comes to windows, a good general contractor may be able to repair older windows if you want to keep the original looks of the house but you can also have new windows easily installed to keep the drafts out. If you prefer to have new windows installed, the cost to purchase the windows as well as install them will far outweigh the expense of feeling drafts and paying for rising heating bills in the winter or cooling bills in the summer. Replacing old windows with new, efficient double-paned windows is a good idea for any home and is the best way to help keep your power bills as low as possible. Older doors often have plenty of extra space around the edges that allow air to flow directly into the house. Having new doors installed can be a little costly, but they can make a huge difference in the cost you pay for your utilities each month. Hiring a professional contractor to install new doors for you will ensure they are installed the right way and over time, you’ll start to notice just how much you can save from having the work done. If you are doing this yourself, we highly recommend using one of the best cordless drills shown on this website (there’s some GREAT information on this page as well as the entire website). To combat higher utility bills, it’s also a good idea to use weather-stripping around all windows and doors throughout the year. When you are ready to have your installation taken care of, be sure to talk to Contractors Today to reach the best general contractors in your area to take care of your window and door installation and help you save a little on your utility bills each month.